As a result of its unique physiological operating mode, the Lapeyre-Triflo valve is expected to prevent the flow-induced mechanisms leading to thromboembolism observed on existing mechanical valves. Experimental, numerical and animal testing demonstrates that the valve physiologically operates like a native human heart valve: it does not produce high velocity backflow jets, does not elicit an haemostatic response and thus is expected to function without warfarin anticoagulation therapy. 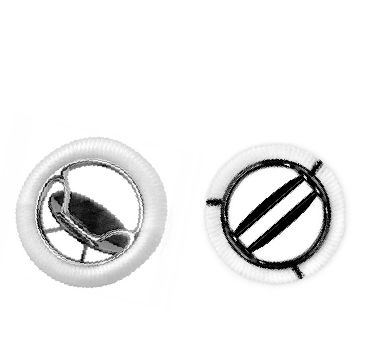 The Lapeyre-Triflo valve is made of high-performance biocompatible materials with outstanding wear and fatigue resistance able to withstand the high cardiac cycles. 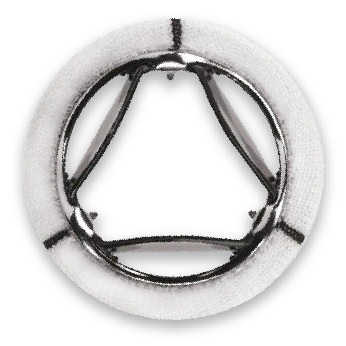 Unlike tissue valves, which have limited durability, especially with young patients, the valve is structurally designed to last a lifetime for patients of any age, thereby avoiding the risk of a re-operation. Due to its specific design, the Lapeyre-Triflo valve functions like a native valve and closes smoothly and silently at zero flow, eliminated the “click” perceived by some patients with current mechanical valves. In addition, the leaflets are made of a silent new high-performance polymer that replaces traditional carbon ceramic material. With its central flow tri-leaflet design, the Lapeyre-Triflo valve demonstrates superior hemodynamic performances. Its unique design permits unimpeded leaflet opening and optimal blood flow with low shear stress and turbulence through the pivot areas. 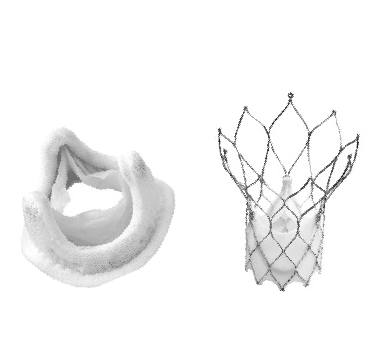 The Lapeyre-Triflo valve is implanted through well established open-heart surgical procedures performed with excellent outcomes for more than 50 years. Like current valves, it could also be implanted through minimally invasive heart valve surgery.